Helping the Mississippi Enterprise for Technology reach new heights. Since 2017, Domoto Brands has worked with The Mississippi Enterprise for Technology (MSET), an organization that facilitates regional economic development by leveraging the resources of Stennis Space Center, and the state of Mississippi to cultivate business opportunities for public and private entities alike. 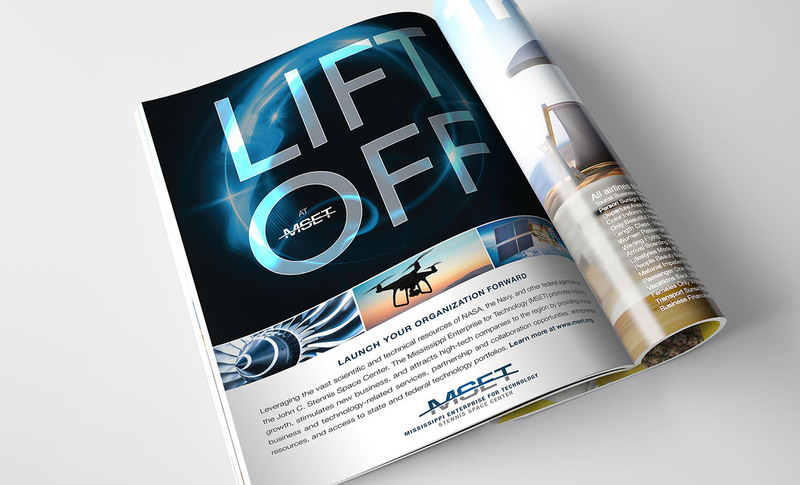 Domoto has developed advertising for MSET specific to the the aerospace industry, and developed branding, signage and collateral materials supporting a technological showcase highlighting Mississippi companies specializing in unmanned maritime systems and technologies. 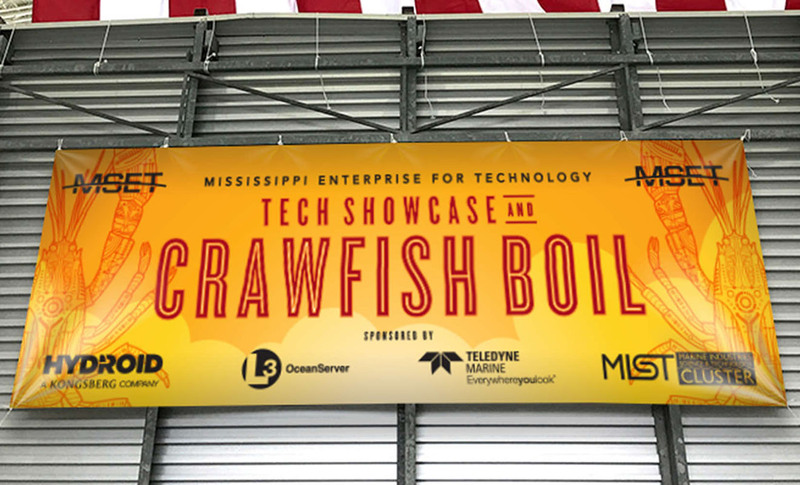 The highlight of the technology showcase was the creation of the Ocean Task Force by Mississippi Governor Phil Bryant. This task force is charged with the growth of oceanic, unmanned vehicles, technical workforce development and marine research. Domoto is proud to have played a role in designing the master plan for the Ocean Task Force.